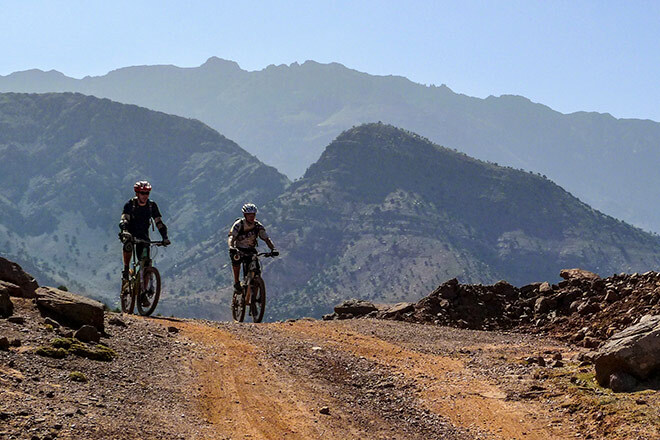 Lonely Planet recommends bikers looking for the ultimate and unexplored adventure to head to the less-trodden trails of the Mount Goun Massif. 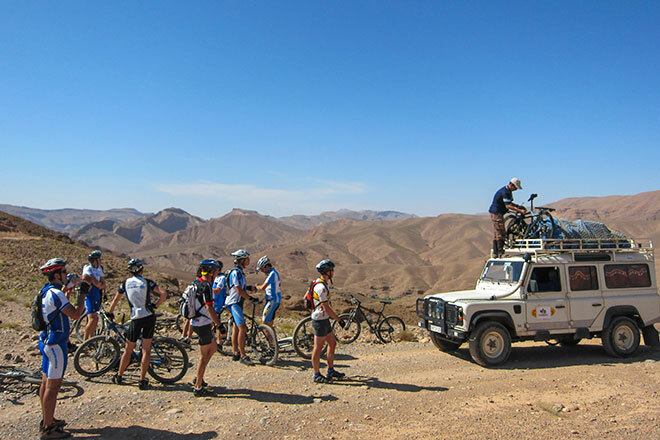 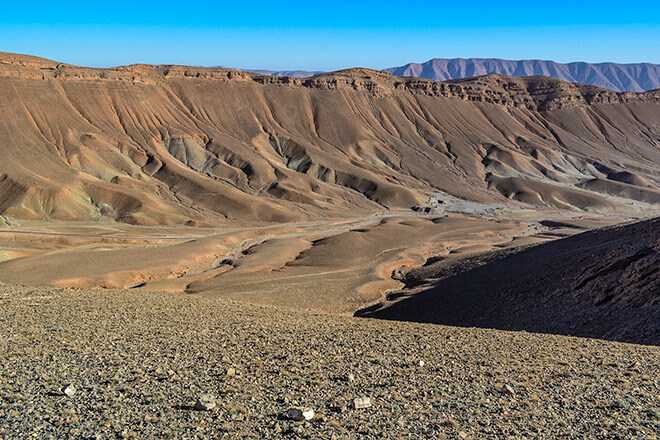 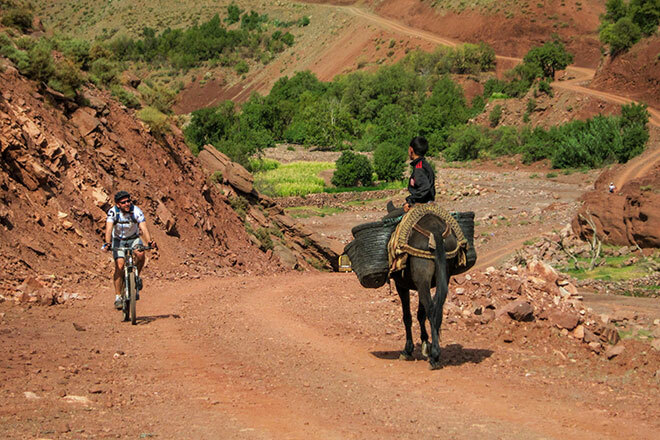 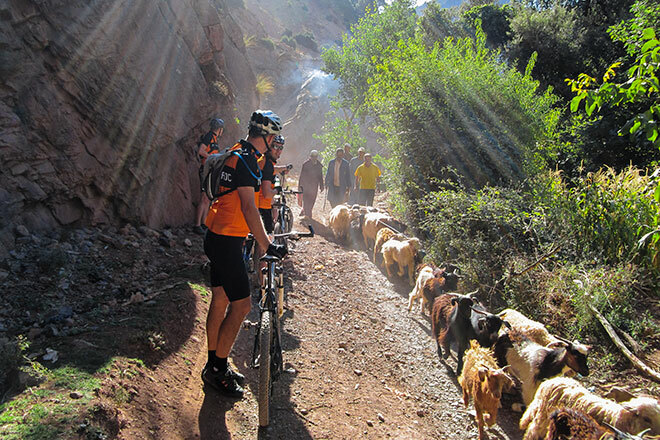 The High Atlas is North Africa’s greatest mountain range and features some of the most captivating biking in the whole of Morocco. 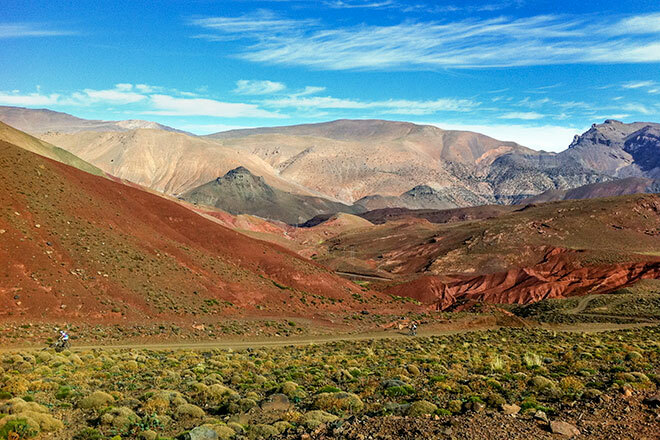 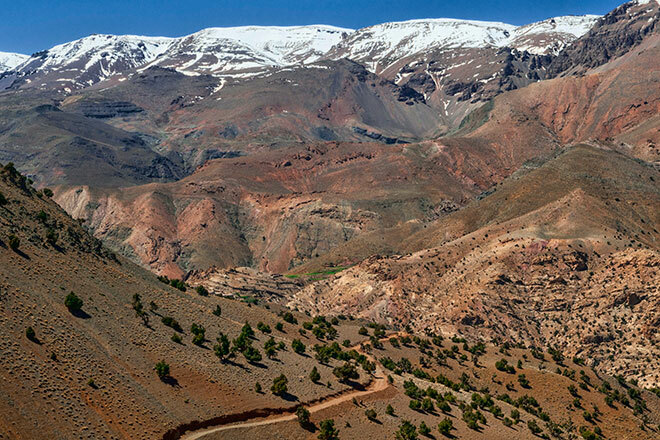 The M’Goun massif, at the heart of the High Atlas, is remoter and lesser known than the Toubkal area. 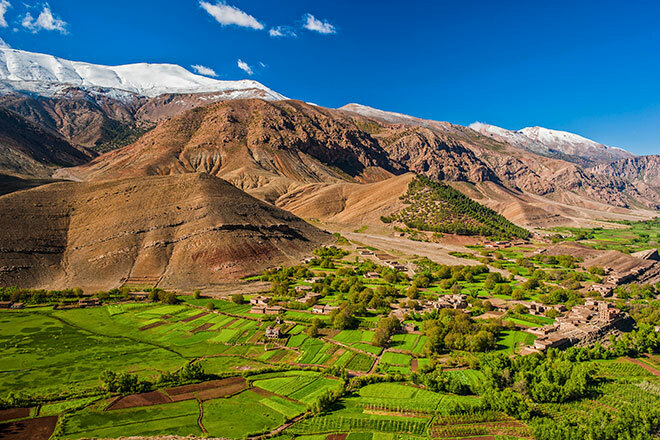 Here, well-trodden passes (tizis) are carved out of towering snow-caped mountains in a setting that looks like time has stood still. 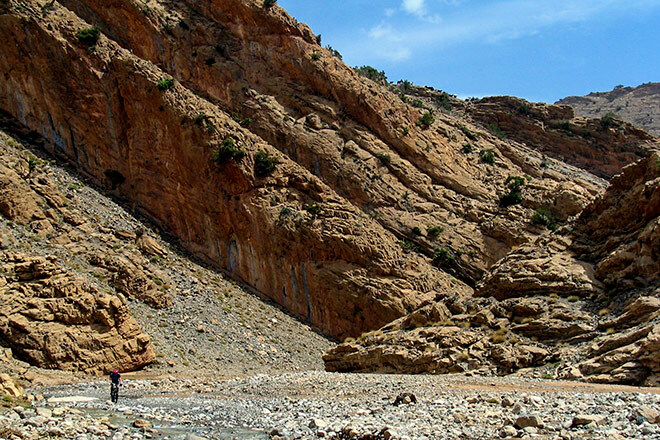 We’ve handpicked a series of awe-inspiring routes around Jebel Mgoun – which, at 4068 metres (13343 feet), is the highest peak in the range. 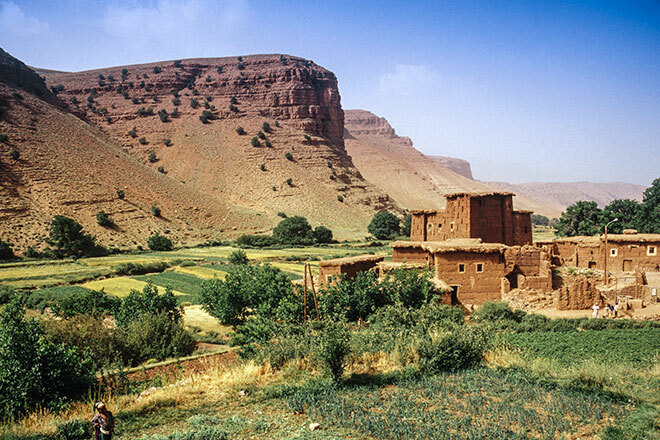 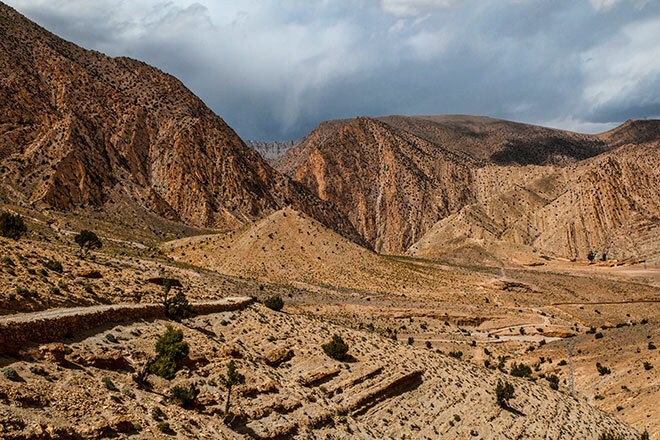 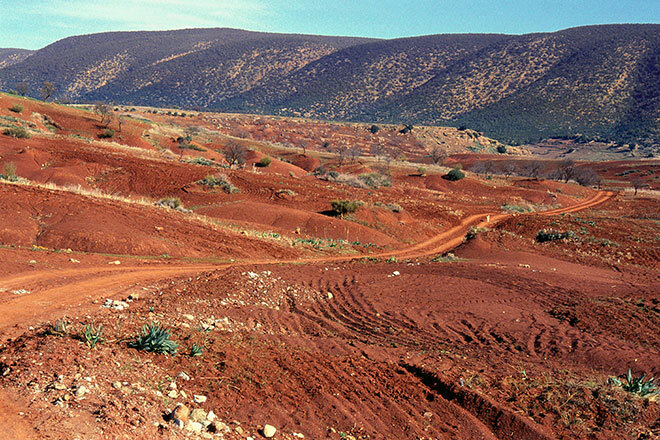 Prepare to be enchanted by ancient Berber culture in one of the most remote places in Morocco. 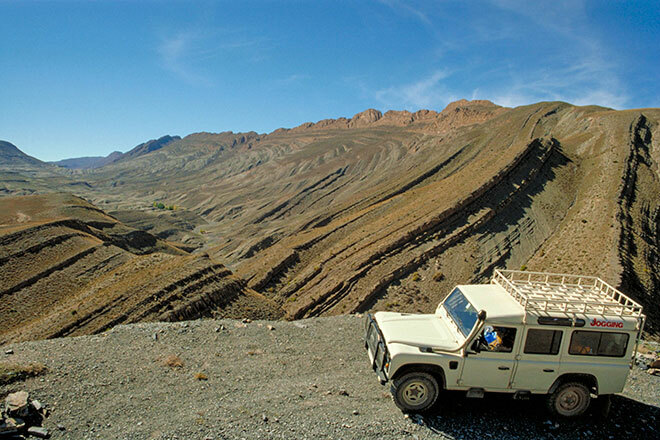 Each day you’ll experience a new adventure but be warned – this tour is no walk in the park. 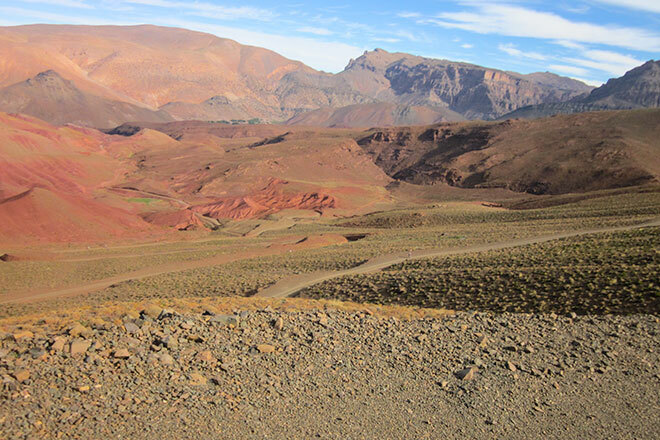 In four days, you will conquer six mountain passes, each scaling 2500 metres (8200 feet), with the climax of this trip, Tizi n’Ouerz, soaring to 2892 metres (9485 feet). 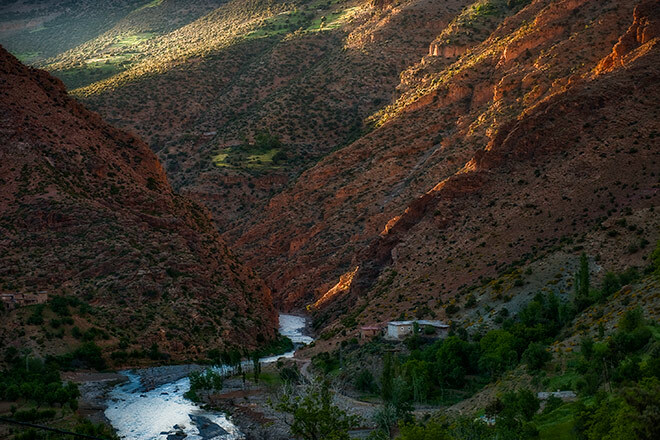 You’ll experience the dramatic Assif Meloul (‘white river’) gorge, populated with dazzling villages, as well as the river valley of Anergui, where fruit and nut trees line the way to the Anergui plateau, perched 2500 metres above sea-level. 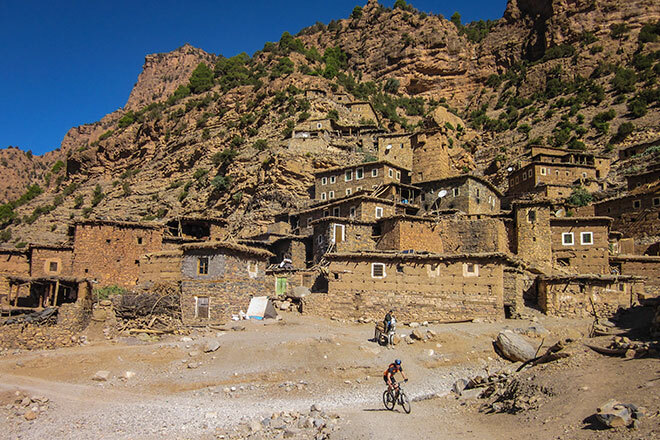 Tough climbs mean stunning descents, like the dramatic, 1000-metre (3280 feet) drop into cliffside village of Zaouiat Ahansal. 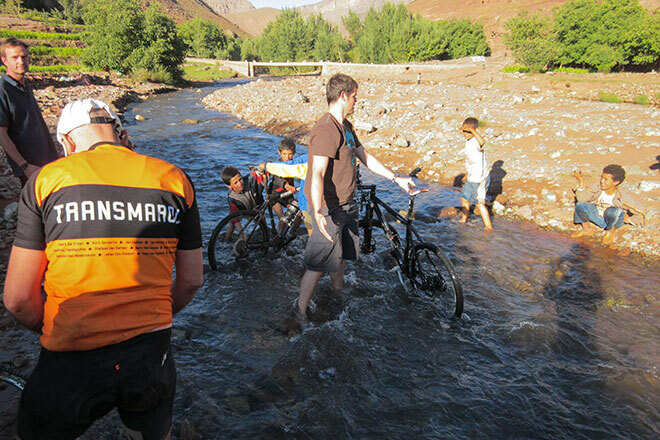 From Ahansal, a beautiful ride along the river will lead you to Morocco’s famous ‘Cathedral Rock’, an imposing natural wonder. 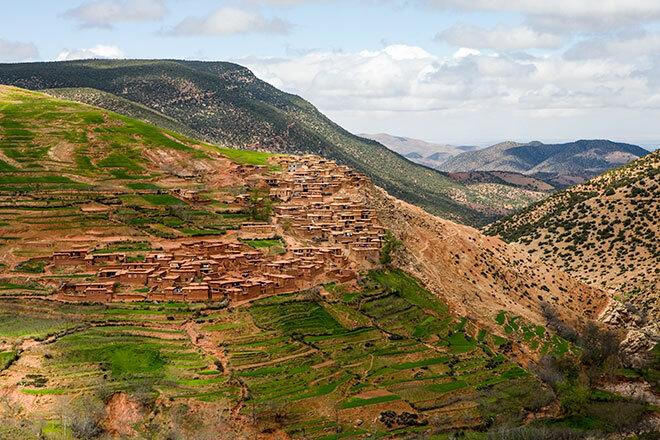 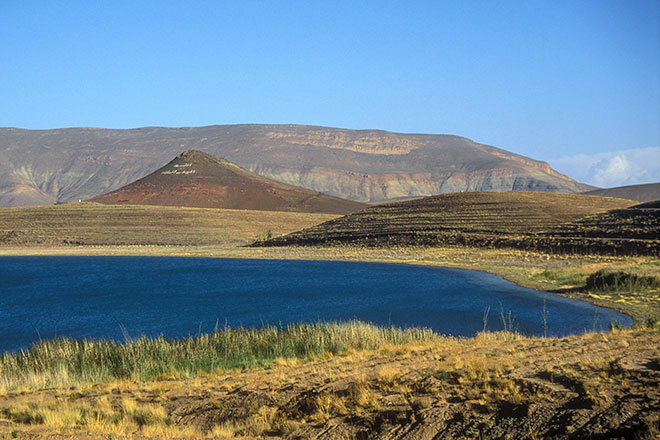 A stay on the shores of Lake Tislit at Imilchil, a berber village 2150 metres (7050 feet) above sea-level, is one of the trip highlights. 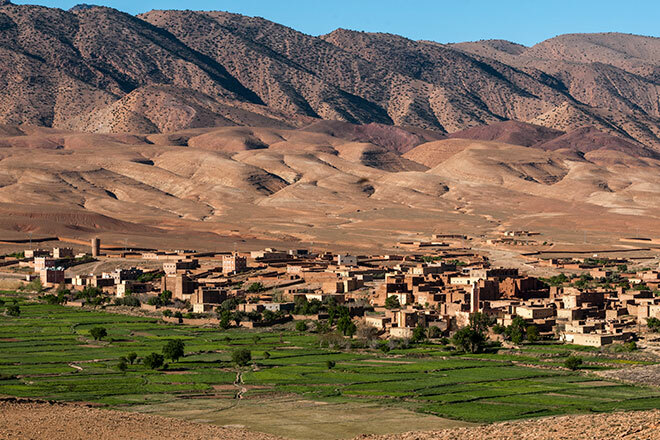 And you’ll enjoy the jaunt through the ‘happy valley’ of Aït Bougmez, named thus because the merry locals are clearly delighted that their home is so beautiful and isolated.